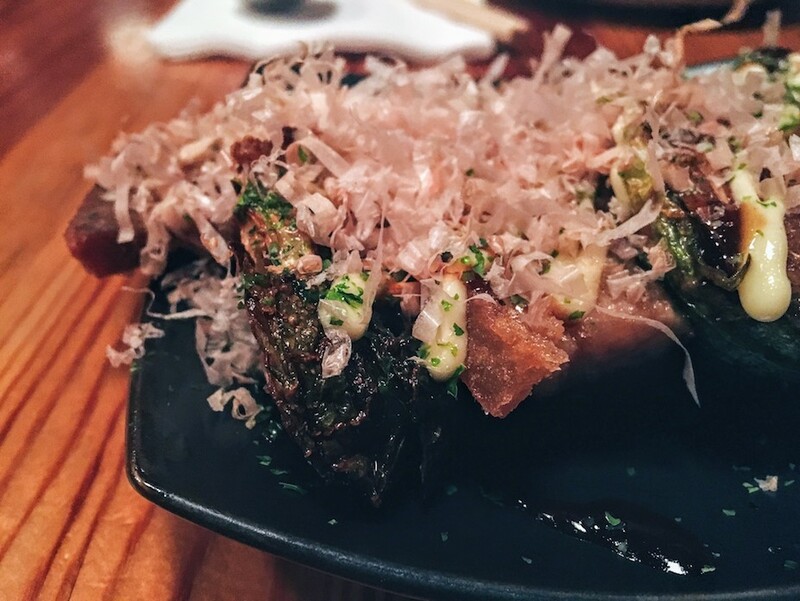 Located in Chinatown, Daikaya Izakaya are basically two restaurants under one roof. Daikaya is operating on the ground floor, known for its Sapporo-style ramen. While, Izakaya is the second floor restaurant which I recently visited and got impressed! This Japanese gastropub, offers small plates of Japanese comfort food with unique and elegant flavors and beautifully designed plates. The décor is modern, with dark lighting, funky digs and rustic tables with seats been separated with dangling ropes. The walls are decorated with Japanese fabrics and manga images. All the dishes are small, so I highly recommend getting everything to share. To start off, the Grilled Avocado is a definite must. Service was super friendly and knowledgeable suggesting to gently spread the wasabi across the avocado and sprinkle the nori salt evenly. As for main courses, you should definitely try the Cacio e Pepe Udon noodles, with pecorino cheese and black pepper. The Grilled Octopus is also a very tasty dish – perfectly cooked with some creamy “Robu-chan” potatoes on the side. I’m not a big fun of meat, but my friends had the Pork and Brussels sprouts with Kewpie mayo, okonomiyaki sauce, bonito flakes and aonori and found it delicious! As for the dessert, you should go for the Chocolate Aisu-Kurimu with miso-banana caramel, chocolate crisps, and crushed banana chips. 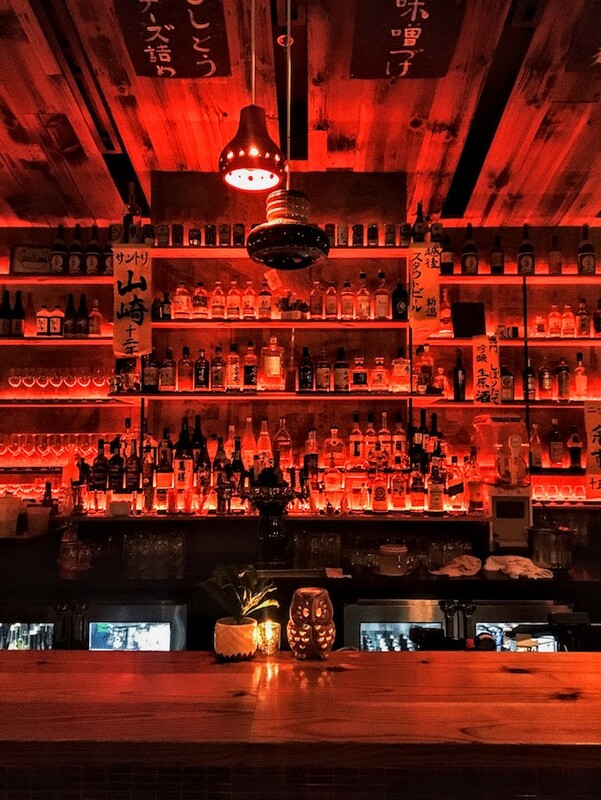 Whether you go after work of before your weekday drinks, Izakaya is definitely a stop you shouldn’t miss!